One of the biggest news items taken from the launch of the MMA Athletes Association (MMAAA) in November was the involvement of Bjorn Rebney. The MMAAA announcement conference call was the first time Rebney had spoken publicly for more than two years, after he was ousted as the president of Bellator MMA, the promotion he founded, in favor of Scott Coker. A number of fighters and managers who worked with Rebney in his role as a promoter took offense to him being involved actively in a fighter association. Some, who said his record was less than stellar as a fighter advocate in the past, said it would not work with the MMAAA because of Rebney. The whole controversy was a bit of a distraction for the positive thing the MMAAA wanted to do — organize fighters into getting more equal pay and treatment from the UFC. Tim Kennedy, the president of the MMAAA, acknowledges now that it wasn’t a good idea to have Rebney on the conference call and in the photo with the fighters on the MMAAA board. Rebney will still be a part of the MMAAA, Kennedy said, but the fighter board is the one that makes the decisions. His role will be strictly advisory because of his knowledge of how promoters operate. Kennedy said that now he is retired he is focusing on recruiting fighters to the MMAAA. He said he has already been to American Kickboxing Academy and JacksonWink MMA to talk about the association with his fighting peers. Kennedy said he has been received at these gyms with “open arms.” Joining him in those gyms was J.P. Arencibia, the retired baseball player who was once the union rep for the Toronto Blue Jays. Along with Kennedy, Georges St-Pierre, Cain Velasquez, T.J. Dillashaw and Donald Cerrone are on the MMAAA board, Kennedy said. 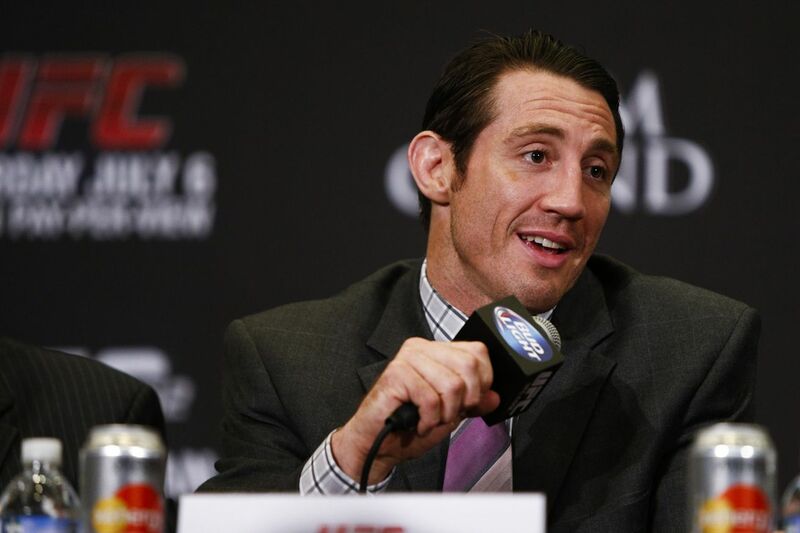 He added that new fighters joining could be announced soon via an official press release. Is it the board made up of fighters, Kennedy maintained, that will be making the decisions via vote moving forward for the MMAAA. Rebney will be a part of the association, but is not the one making the choices, he said. “He’s never been a part in a sense that he has any authority or ability to affect anything,” Kennedy said. “The only people that can vote are board members and the only ones people that can be board members are fighters.